Claim the potential of the neighborhood, a very young neighborhood, to banish stigma. For this purpose City of Hope was born, a project promoted by Comunitarian Plan of Ciutat Meridiana and El Parlante, in collaboration with the Cruïlla Center. This initiative seeks the involvement of young people in the community through the creation of videos and audiovisual projects reflecting the social diversity and strengths of the neighborhood versus the stereotypes and negative visions of it. The group of young people of City of Hope show in 38 photographs the most positive and beautiful aspect of their neighborhood: the solidarity, the nature and the sympathy of the neighbors. 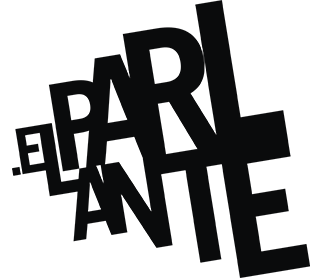 This project, coordinated by the group El Parlante and the Community Plan of Ciutat Meridiana, aims to turn the negative image of the neighborhood, closely linked to evictions and the crisis. The Civic Center North Zone this month exposes the images in the vision of the youth of their neighborhood, a sample they have entitled "City of Hope, portraits of neighborhood." Tv Show Tot un Mon interviewed Alfredo Cohen, director of elParlante. The collective bet in some of its projects as BarriBook TV or Ravalead@s for intercultural dialogue in an intercultural city like Barcelona. The result is a debate among young people about the stereotypes and the visions attributed to people and groups from different backgrounds, where the active participation and the audiovisual expression of the young participants are strengthened. Jésica González, a member of elParlante and youth activist in the Xarxa BCN Anti Gossip, talks with the volunteer Cesca Campos in the TVshow Tot un Món (A Whole World) also anti gossip agent. The activity fights the rumors presented by the media and in society towards the immigrant population, based on stereotypes and prejudices.